FOGBC was launched in 2011. There is a constitution, but the organisation is more a group of people determined to ensure that the beautiful church, set amongst meadows between the two major residential areas, Boot Street and Lower Street, should remain a centre for community activities. There are two or three church services a month, but that is clearly a chronic under-use of what is the only public building in the village. In order to make better use of the facilities - now enhanced to modern standards by mains water, basic kitchen facilities and a toilet - the Friends organise a programme of events to bring people of all religions and of none into the church to enjoy what the building and the churchyard have to offer. 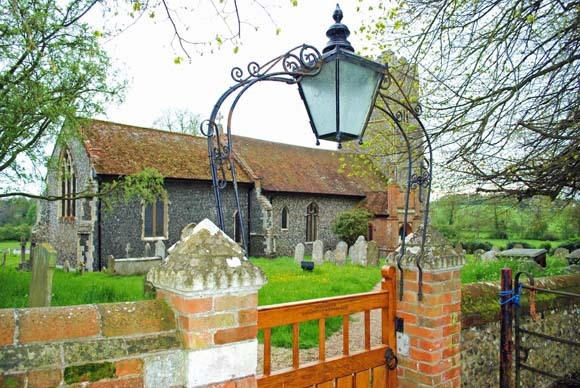 In recent years the church has staged talks, concerts and exhibitions and an Open Evening with Suffolk Wildlife Trust. Off-site, members organise cricket matches, progressive suppers, Plant Sales, Garden Parties, various national celebrations, Open Gardens etc. Further details are on a separate page here. Saturday November 4th at 7.30 in the church. This popular local group can be heard performing at other local venues, including the Crown in Woodbridge. 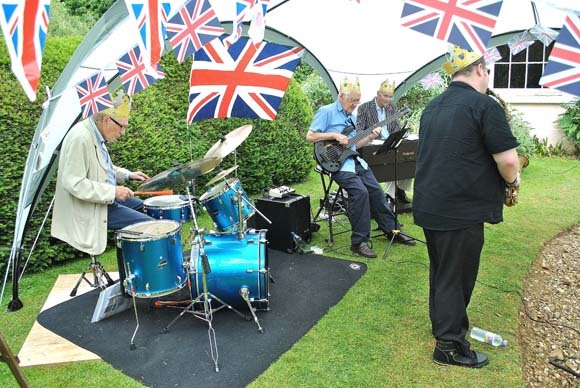 They performed, to great acclaim, at our mid-Summer garden party, celebration the Queen's 90th birthday. 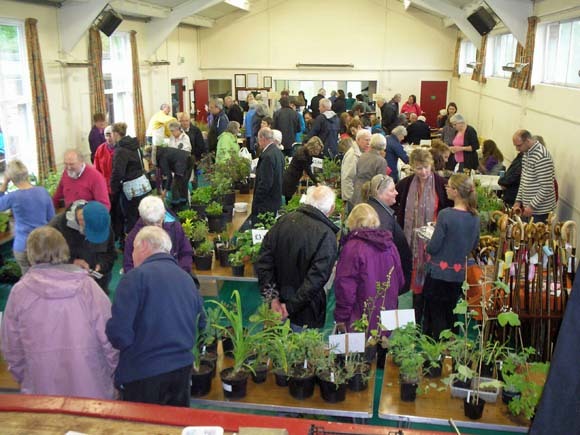 Previous events include an annual Plant Sale, a village cricket contest, talks and wildlife events. An illustrated History of Great Bealings Church is available at the cost of £5. Various cards are also stocked, including a card featuring a picture of the church painted by local artist Thomas Churchyard. Please address any queries, inquiries, suggestions, offers etc to Norman Porter (FOGBC and Churchwarden at St Mary's, Great Bealings), tel: 01473 735565.